Also called a bread machine, a bread maker is an electric counter appliance designed specifically for making bread and baking it. Though some bread machine features will vary, most bread makers have similar functions. If you're interested in buying a bread machine, here's what you need to know before making a decision. Recipe ingredients are added to the machine's bread pan in the exact order listed and the cycle chosen. The machine will mix and knead the bread dough, take it through a rest period and first rising, then to the second rising and finish by baking the bread in the machine. Full cycles can range from two to three hours; many machines have countdown timers. 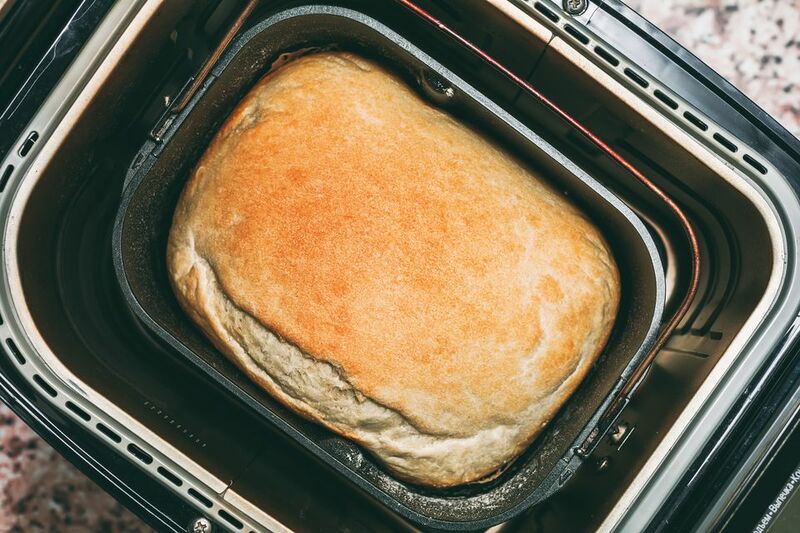 Machines with a dough setting allow you to remove the bread dough after the shorter cycle is finished (first rising), where you can then shape it manually, set it to rise and complete the bread baking process in your range oven. A dough cycle is an important feature if you prefer your bread machine bread baked in the oven, rather than in the bread maker. Why Use a Bread Maker to Make Bread? The machine does all the hard work of kneading the dough and removes the guesswork associated with testing the dough for readiness. You could use a stand mixer with a dough hook attachment, or a food processor to mix and knead bread dough. But the bread maker gives you the option of continuing the process. So it is a convenient time-saving appliance. Compared to store packaged bread, making your own bread gives you control over the ingredients. Many love these machines purely for the nutrition aspect. With a bread machine, you get to chose the additives, control or use alternatives for sugar, dairy, and other ingredients. This way you can ensure a no-preservative bread for your family. Many consumers love their bread machines and cannot be without one. Those on gluten-free foods consider this an essential appliance since gluten-free bread is sometimes better when baked in the machine. For others, the novelty of making fresh bread seems to wear off quickly. A bread machine does need a fair amount of counter space or cabinet storage area, so you should give that some thought before getting one. Other features you might want to consider are Dough Cycle, whether it makes a small or large loaf, crust selection, browning choices and the option to interrupt to add fruit or other ingredients once the dough has been mixed. Some bread makers have a quick bake function which can be very handy, as well as the ability to bake dessert loaves. There are machines that are designed solely for mixing/kneading the dough and do not have any baking function whatsoever. Those who prefer to complete the baking in their kitchen oven tend to like this kind of dough machine because they are smaller in size and easier to store. A baking cycle should be confirmed before buying. Bread makers come in various sizes and designs, such as for a horizontal or vertical loaf. There's also quite a range when it comes to bread maker prices - from $50 to $250 or more. Brand variety is not extensive, but there are a lot of very good machines for making bread, even in the lower price ranges. Examples: I'll place the ingredients in the bread maker, turn it on and in about 3 hours, the aroma of freshly-baked bread will fill the room.